22K and 18K gold. 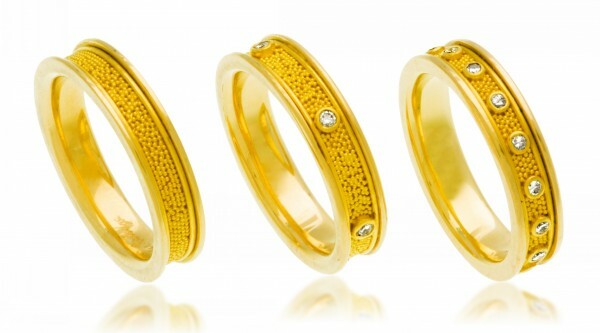 Bands are available with 6 diamonds (.06 ctw), 16 diamonds (.16 ctw), or without stones. These rings are available with other gemstones upon request.